Formally educated at Middlesex University and previously a successful Textile Designer, Justine has been enhancing her reputation as an artist and returned to her true passion of painting. Justine’s style and influences vary through time, which is reflected in the experimental nature of her work. 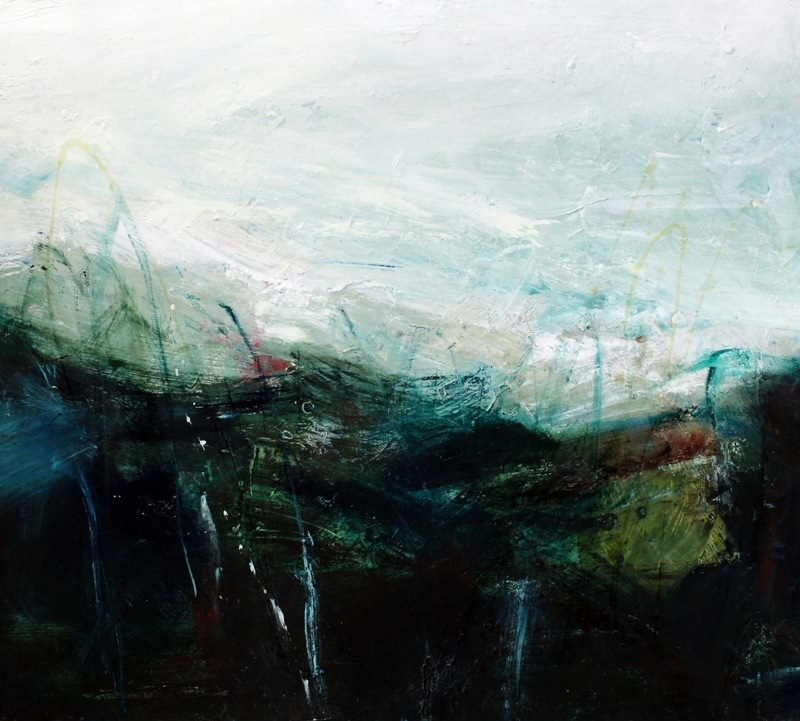 Her abstracts are energetic, restless and often reflect her curiosity, born from her formative years in St Agnes, to her emotional and physical connection with nature, the sea and the Cornish coastline. Her free use of oils, acrylics and other mixed media on board contributes to a unique and compelling style. Justine was recently shortlisted at The Artists & Illustrators of the year 2018. Awarded the ‘Green & Stone Award’ by the Chelsea Art Society 2016 & 2013 .Exhibited at The Discerning Eye Exhibition at the Mall Galleries , RSMA, The Royal West of England Academy, The Society of Women Artists amongst other prestigious exhibitions.